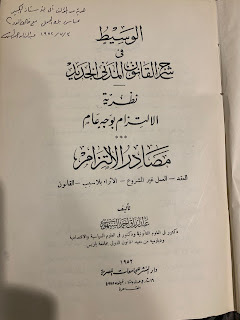 The second book is one of the books of the greatest Egyptian jurist of his generation, the late Abdul-Razzaq Al-Sanhuri, who authored Egypt's civil code and authored or helped author a number of other civil codes for Arab countries. 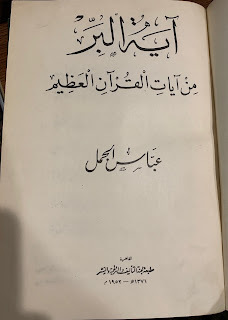 It is a first edition signed as a gift to my grandfather, who was a few years older than Sanhuri. 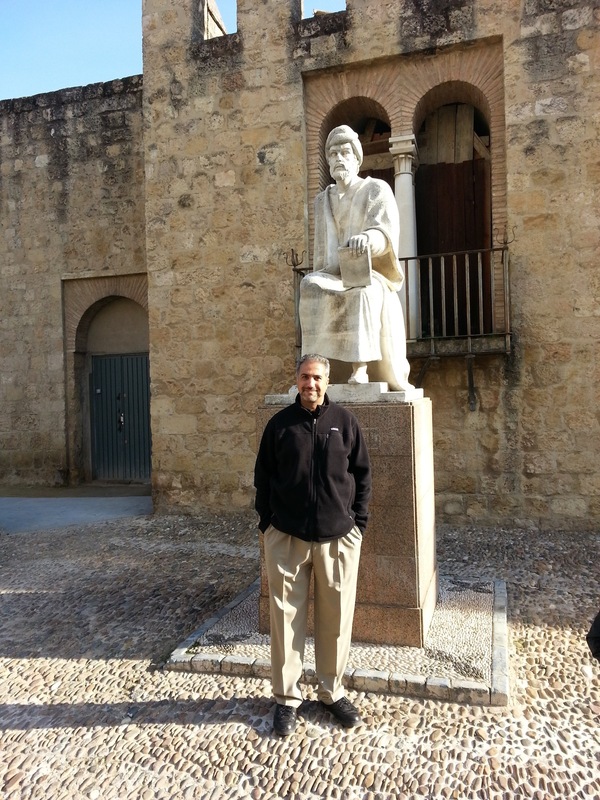 Sanhuri wrote extensively about his interest in integrating the spirit of Islamic jurisprudence in contemporary legal and regulatory frameworks, which requires updating the jurisprudence to include modern legal theory and social science. He was very prominent in Egyptian society, serving as Education Minister and as head of the State Council, which is one of the three top courts in the country. He was reviled by Islamists of his day, who mostly belonged to the Muslim Brotherhood, and faced persecution when this group was in favor by the ruling coalition of the period. 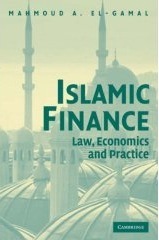 The mistake that gave rise to today's "Islamic finance" was not to heed Sanhuri's call to integrate the spirit of jurisprudence with modern law. 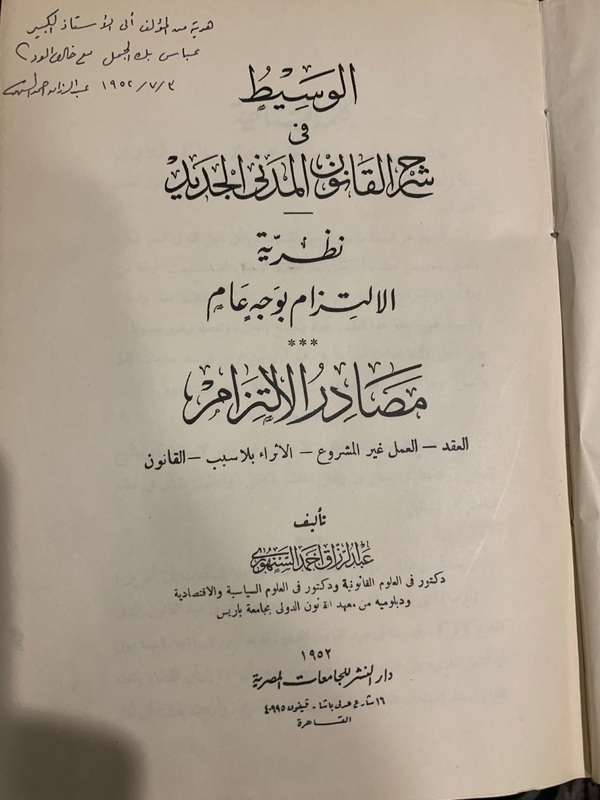 Instead, Islamists, professional jurists in Al-Azhar and other clerical institutions, and governing powers, colluded to consider Islamic jurisprudence a parallel and independent legal system. 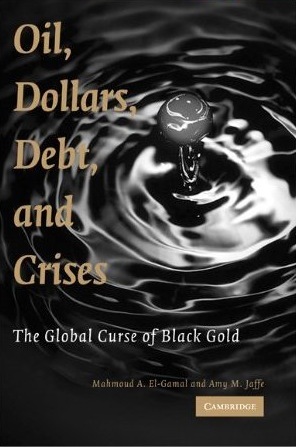 Thus, it was natural for the industry that arbitraged the legal gulf under the name "Islamic finance" to emerge. 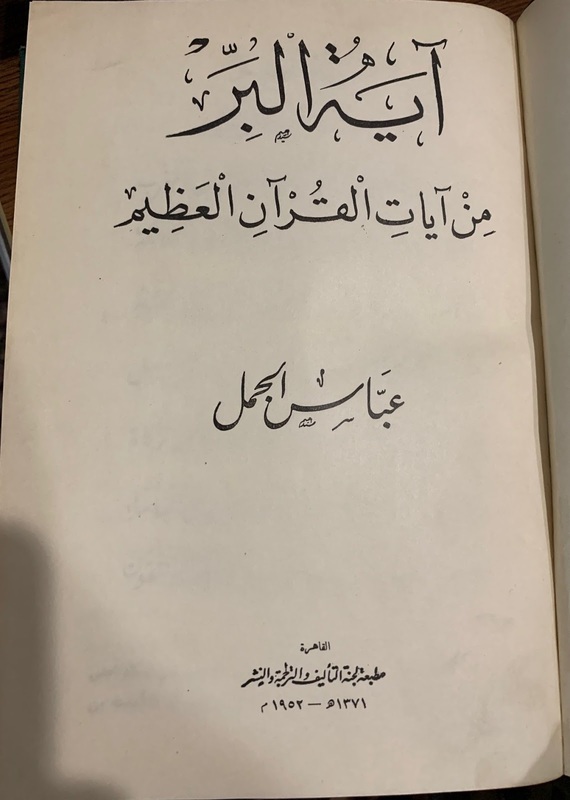 When I gave my late father a copy of my book critiquing Islamic finance, he gave me this copy of Sanhuri's book, and urged me to study his works. That was twelve years ago, and I am finally coming around to fulfilling the promise of seriously reading Sanhuri's voluminous works and seeing if one can suggest a new coherent way forward. This is safer than my previously planned project on conceptions of justice that evolved into liberation theologies, and with Arab states reasserting their power over clerical classes and suppressing most types of Islamists, there may be a receptive audience for some suggestions.